Another Education is Possible at the US Social Forum! 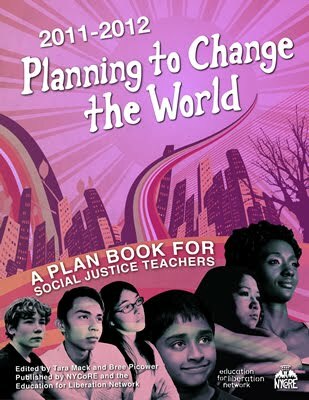 Join TSJ at the US Social Forum in Detroit-- June 22nd to June 26th (http://ussf2010.org for info). We've partnered with progressive education groups around the country to put on a workshop and People's Movement Assembly and we'd love to see you all there! Across the country, we are facing a critical moment of national 'reform' that will ultimately define the future of education in the US. Many of the initiatives garnering national attention, while supposedly created and implemented with intentions to “close the achievement gap,” often carry negative side effects that both harm low-income students of color and reinforce a profit-driven and capitalist system. As teachers and community-based educators for liberation, we tend to spend a significant amount of time analyzing and tearing these programs to pieces, fighting both locally and nationally against privatization. While we have become increasingly adept to identifying the enemy and knowing what we are against, it can sometimes be difficult to articulate what alternative visions can be presented and advocated for. We invite USSF participants to join teacher activists from across the country in this workshop where we will explore the current moment in education by connecting the dots between seemingly disparate educational reforms such as school closings and takeovers, exponential growth of charter schools, budget cuts, teacher lay-offs, merit pay, attacks on teacher unions, and high-stakes standardized testing to paint a complete picture of the impact of such ‘solutions’ on low-income students and students of color. TSJ and Jitu Brown, Kenwood Oakland Community Organization, challenge Duncan's education agenda on Democracy Now! Want to hang a flyer in your school? Download it here.